Once you have created a Custom Pay-Per-View Package and added at least one Password Group to it . You can set your chosen media such as Videos, Live Events, WebTV Players, IP Cameras or even Audio files to be Password Protected. In this tutorial we will be setting Individual Media files to Password Protected. If you want to learn how to set and entire playlist to Password Protected please see here - >. If you want to check out some Password Restriction Demos and extra information please visit our Password Protection information page. 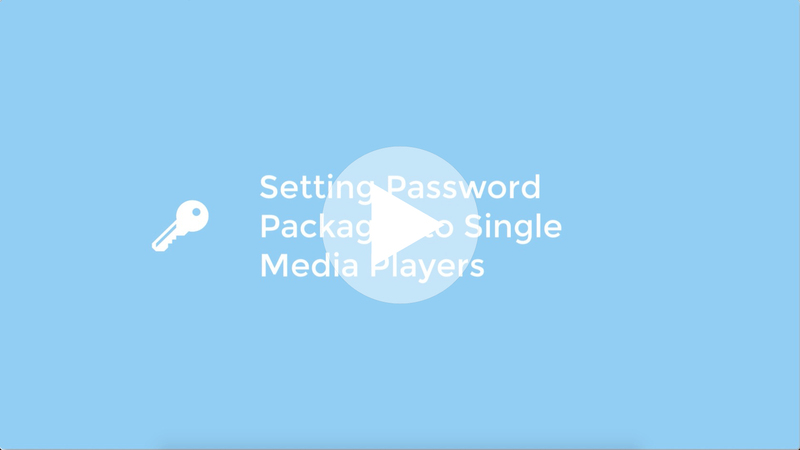 To set a Password Package to individual videos you would simply go to your Media Section. Select the video you would like to change set to be Password Protected. Here under Password Protection you can simply select your desired Password Package from the drop down menu. You have now set your chosen media to be Password Protected. You can also set a Password Package to an entire playlist.